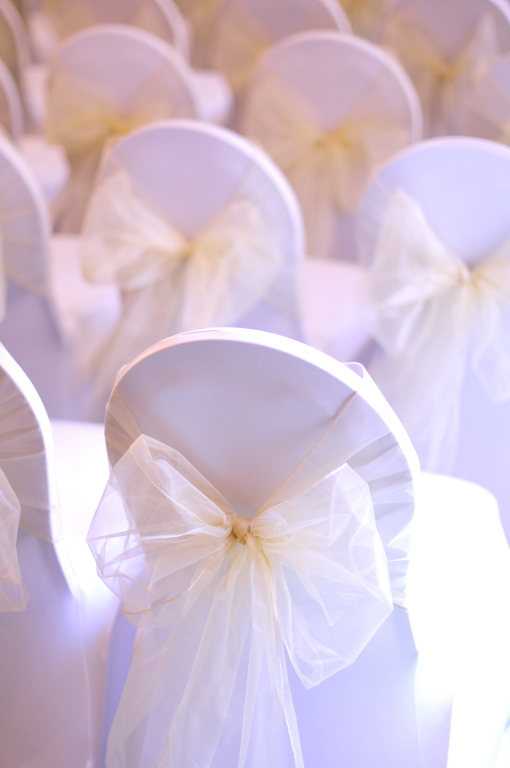 We are pleased to announce that we also help theme your wedding or event with our co-ordinating Chair Covers & Sashes. We have access to many different colour Sashes in Organza, Taffeta, Satin & Hessian. Please let us know how many chairs you'd like us to dress, with your chosen colour scheme & most importantly on which date & at which venue & we'll provide a quote.